Spice up your popcorn recipe with a little sugar, cinnamon and nutmeg! Make your popcorn at home the traditional way using heart healthy canola oil and popcorn kernels for movie nights and after school snacks. This is a Heart and Stroke Foundation of Manitoba-approved recipe. 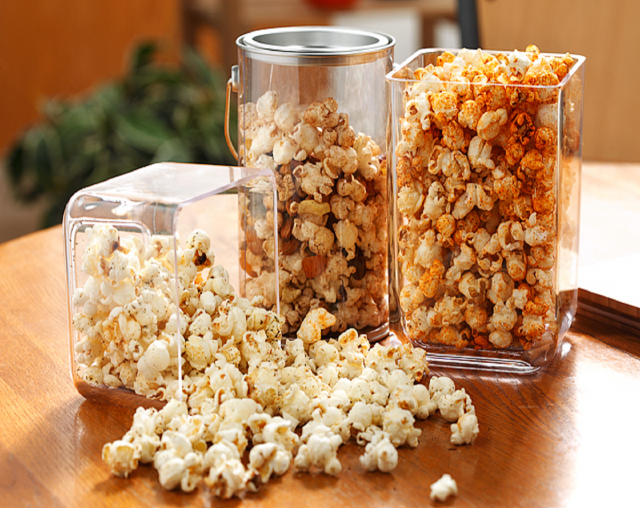 Make sure to check out our other popcorn recipes. In a small container, combine seasoning. In a large saucepan, heat canola oil over medium high heat. Add popcorn kernels. Place lid on and let kernels cook, shaking occasionally to prevent burning. When the popping slows to 3 to 5 seconds between pops, remove pan from burner. Sprinkle spice mixture over popcorn and toss once again.